Come rock out in this beginner-friendly, get down jazz class made for dance newbies and movement junkies alike. We’ll get fierce ‘n’ funky to an eclectic, make-you-wanna-move rock ‘n’ roll playlist covering everything from classic hits to psychedelic indie rock and bop worthy avant-pop. Each class will build up a short, fun, groove based combo in a relaxed follow-along format. No technique? No problem. 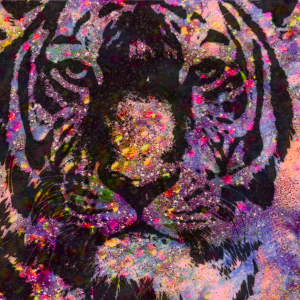 Glitter Tiger will show you how to kick, twirl and tear up the dance floor so you go home feeling like a sabretooth rockstar. rawr.